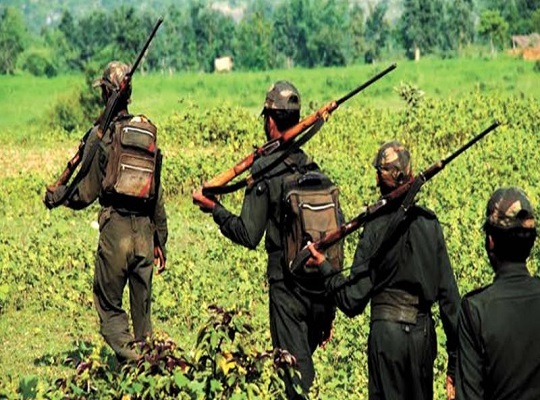 Phulbani: A group of Maoists torched the vehicle of a polling party in Odisha’s Kandhamal district on Wednesday. According to reports, the vehicle carrying the officials of the polling party was en route to Mungunipadar polling station under Phiringia police limits, when the red rebels stopped the vehicle and asked the polling staff to get down off the vehicle. Later, the extremists set the vehicle on fire and fled from the spot. All officials of the polling party are safe, reports said. Meanwhile, combing operations have been intensified in the area to track down the extremists, police said. Kandhamal Lok Sabha seat will go to polls in the second phase on April 18.